I used to have blackberry vines all through my bushes when I lived in East Texas. The birds must have gotten some blackberries and then scattered the seeds all over my flower beds. I would take my kids outside, and we’d pull them right off the vines and eat them. They were so delicious. I always wanted to grow blackberries, but everyone told me that snakes love blackberries and you’ll often find them out there. So, that pretty much ended my desire to have blackberries growing in the garden apart from the wild ones we had. This week, they were having a sale at the grocery store on blackberries, and these were the biggest ones I’ve seen in a long time. There were some that were as big and long as my entire thumb, and they were so plump and sweet. 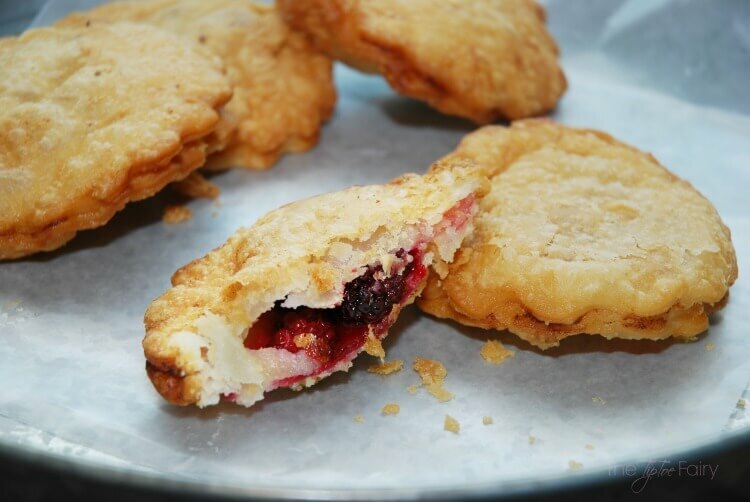 I’ve eaten quite a few blackberries while preparing these hand pies. When I make pies, I usually just buy refrigerated pie crusts, but you are welcome to make your own for this recipe. To get the berries ready, I like to macerate them. 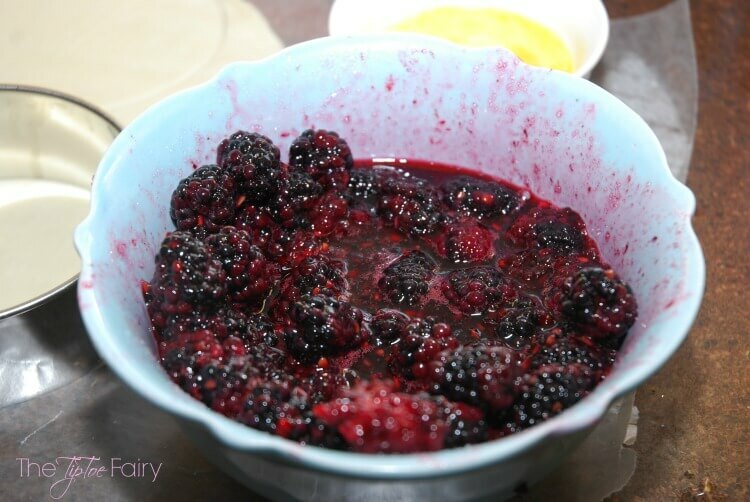 I add 1/2 cup of sugar to about a pint of blackberries and let them sit on the counter or 45 minutes. I stir them every few minutes. 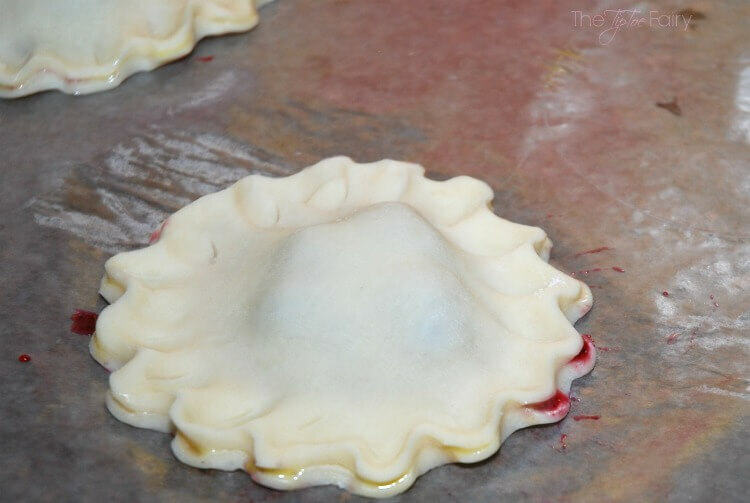 The sugar pulls the juices out of the berries so they’re perfect for adding to the little pies. I add a heaping tablespoon of berries to the middle of one pie circle. Then, I brush the edges with an egg before adding another pie circle on top. I squish the edges together and crimp them pretty. Then, it’s time to put the pies in the fridge. I have found from experience they fry up much prettier if you chill them ahead of time instead of right when you put the pies together. After about 30-45 minutes, heat up 2-3 inches of cooking oil. I usually use canola oil. Once it’s ready, fry the pies on each side until they are golden brown. I usually only do one to two pies at a time. Mix the blackberries and sugar together and let sit at room temperature, stirring up every 15 minutes for 45 minutes to macerate the berries. 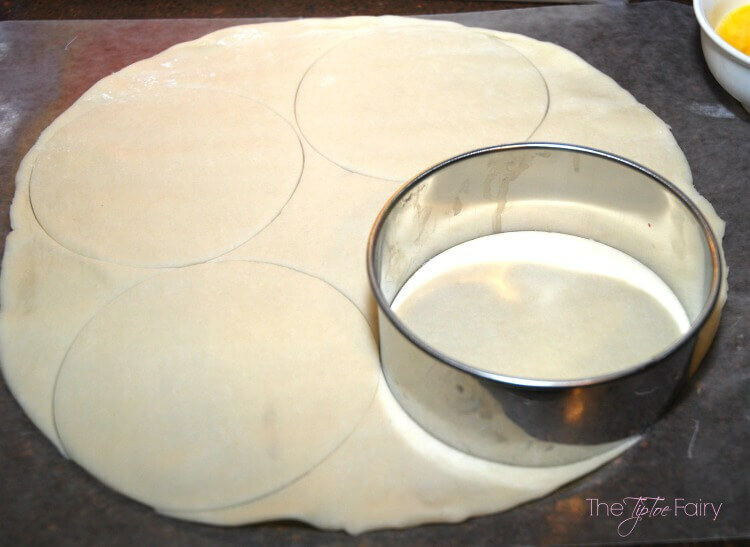 Unroll pie crusts and cut 6-inch circles. 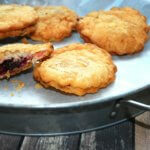 Add a heaping tablespoon of blackberries to half the pie circles. Brush the edge of each pie circle and then cover with another 6-inch pie circle. Once you’ve made all the pies, set them in the fridge for 30-45 minutes. When they’ve chilled, preheat 2-3 inches of oil until it reaches 350 degrees. Add 1-2 pies at a time. Allow them to fry until golden brown and then flip over and do the same. Gently remove to paper towels to soak up excess oil. 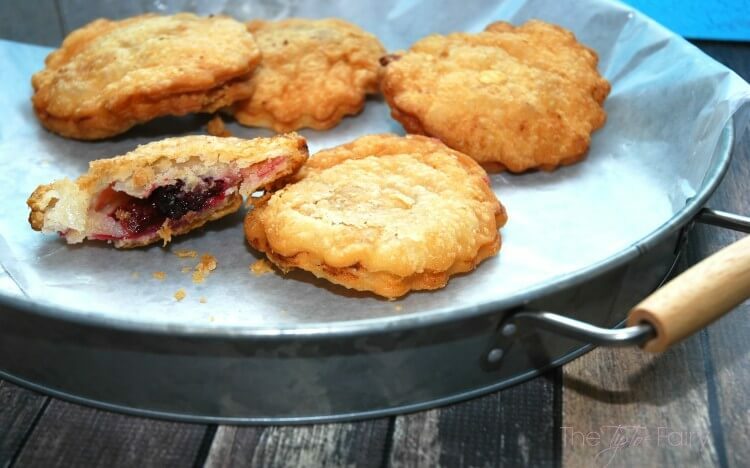 Have you ever made fried pies? What’s your favorite pie flavor? 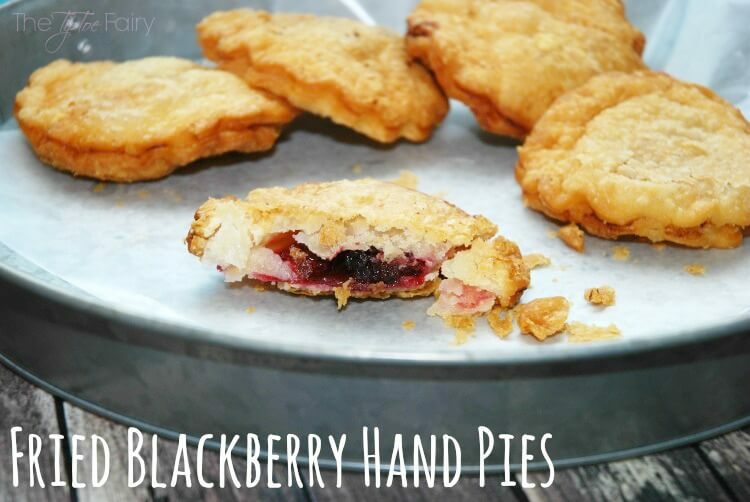 I love blackberries and these hand pies look delicious. They’re super cute and they don’t seem too difficult to make. That’s a quick recipe, really, no need to wait a long time to bake or anything like that. I would add a dollop of whipped cream or a scoop of vanilla ice cream just to make things cooler during the warm weather when serving this! Thanks for the lovely and easy recipe! These are so cute. I love the idea of hand pies. Spring and summer always reminds me of enjoying a delicious slice of pie. I want to try this hand pie. It looks yummy! That looks so good and yummy! 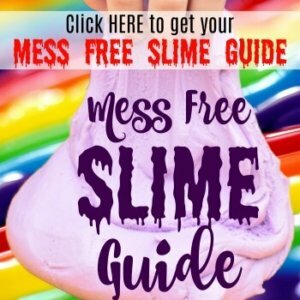 I would love to try this. Thanks! Wow! That is so satisfying and good. I need to try this on Mother’s Day. These look so delicious. Blackberries are one of my absolute favorites. I can’t wait to try this recipe. This looks really yummy and delicious. so love to try this soon. I love blackberries and these look amazingly good! I’d add a scoop of ice cream on top of one! I lived out in the country for many, many years and had blackberry bushes all around me. My children picked them for hours on end. I will have to go out and collect some when they are ripe and try this yummy recipe. 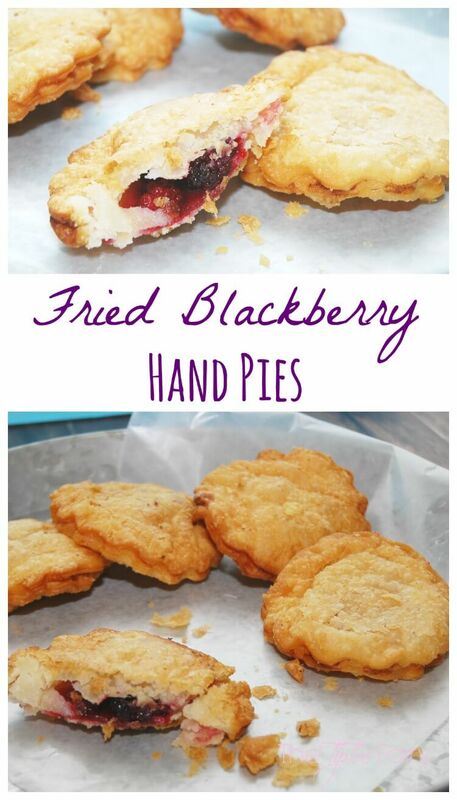 These fried pies look amazing!! They remind me of my grandmother’s recipe! Interesting fried Blackberry looks delicate and sweet, delicious. Oh my word! These are awesome! I love that you have step-by-step. Thanks so much!